Dallas – February 24, 2013— In March, Alamo (100 S. Central Expressway #14, Richardson, TX 75080), turns all attention to some favorite crime movies like MEMENTO, THE MALTESE FALCON, NORTH BY NORTHWEST and CLUE. Yes, CLUE! http://drafthouse.com/dfw/richardson. "Crime doesn't pay but going to Alamo this March does! In celebration of Wes Anderson's latest film—the crime caper THE GRAND BUDAPEST HOTEL—we're thrilled to feature a few of everyone's favorite crime flicks of all time! But the investigation doesn't stop there. We're also featuring every Anderson film that we could get our hands on, back on the big screen for Wes Anderson Week, culminating with the Dallas-treasured first, BOTTLE ROCKET! Plus a whole lot more cool stuff throughout the month. 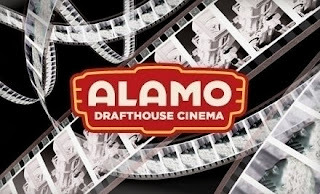 So get on the case this month at Alamo Drafthouse Richardson,” said James Wallace, Alamo DFW programmer. March 31: Music Monday: OUR VINYL WEIGHS A TON with a vinyl swap in the lobby!